Ride Out! shines a light on the classic and most inspiring riding landscapes, from never-ending meandering mountain passes to routes along the Mediterranean Sea. A motorcycle rider is always on the hunt-- for the perfect curve, the perfect scenery, the perfect flow. Pack light, take your friends on a spontaneous day trip, or prepare for the long haul around the world. Hop on a sport bike or a dual-sport--will you choose Africa's challenging sand dunes or the rough gravel paths among the old Silk Road routes flanked by some of the tallest mountains in the world? 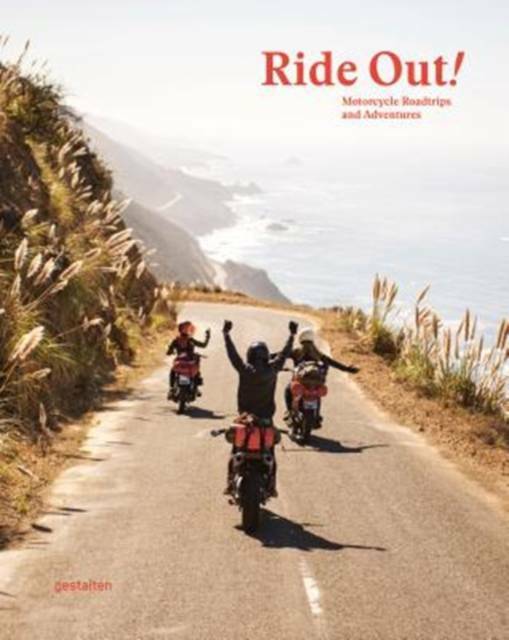 California, South Africa, Japan, China, Patagonia, and New Zealand are playgrounds for the two-wheeled nomads who will be sharing their personal experiences. Detailed Maps containing practical background information on the best seasons, duration, and points of interest will help you plan your next trip. Get out and ride!